The first step of any data science project is to clean up your data. On November 27 at 6:30pm, join the PyLadies Medellín meetup to learn more about how to effectively clean real-world data using Python. Toptal is proud to sponsor this event and to collaborate with PyLadies, a meetup for women working in Python or interested in learning. 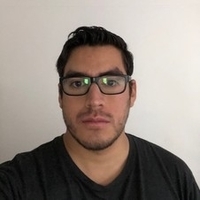 Andrés Pineda, a Toptal recruiter and developer, will be onsite to answer any questions you may have about Toptal work. For more information and to RSVP, please see the Meetup page. Your message to Andrés was sent.